Drum shields help control some of the sound from the drums but do not restrict the view of the drummer. Because of this they are an ideal and popular method for toning down the drum beat when needed. 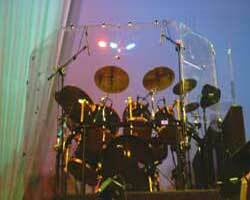 Musicians often find they get a better sound mix when using acrylic drum shields. This is especially helpful in smaller spaces or simply when you want to dampen your sound a bit. Many musicians appreciate our drum screen styles because they are easily portable. 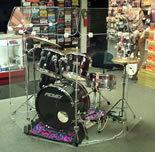 PennzoniDisplay.com has drum shields of various shapes and sizes and can provide the perfect drum panel for you. One of the greatest perks of PennzoniDisplay.com is their convenience. They are easily foldable into manageable panels, and you'll have no trouble transporting and/or setting up these screens. We offer a number of other items of interest to musicians and collectors. Be sure to see our acrylic guitar display cases. We have many styles to choose from including some featuring a mirrored or black acrylic back for an attention-getting look. PennzoniDisplay.com helps you get both the appearance and the sound you want, so browse our selection or contact us today to learn more! Show off your prized guitars without every visitor actually handling them. You can easily turn your guitars into real showpieces with our guitar display cases. These attractive, highly durable cases will keep your instruments readily accessible for you while protecting them from too much exposure to the elements. Whether hanging on the wall, sitting on a shelf, or simply leaning against the wall, these protective items are stylish, affordable, and practical. 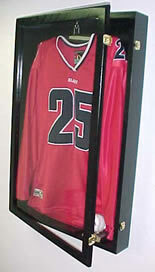 From displays to drum shields and more, PennzoniDisplay.com should be your trusted source for items to enhance your hobby.